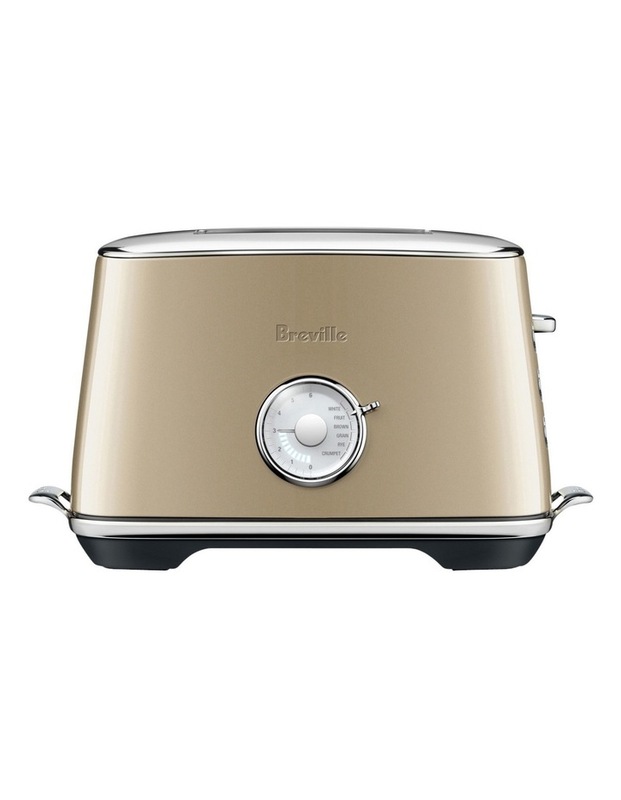 The Toast Select , with 6 bread settings - White, Brown, Grain, Fruit, Rye and Crumpet adjusts the toasting time for each type of bread. ' Lift & Look' to check if it's done. Press 'A Bit More' ' and to give it just that a little bit more. Follow toasting progress with the LED countdown indicator. Crafted with brushed stainless steel in premium metallic finishes and chrome accents.